Thanks to modern technology, homeowners now are able to take advantage of more styles and flooring materials than ever before. Home renovations are a popular activity, made more appealing thanks, in part, to the abundance of home improvement shows on television today. If you are about to start your own project, congratulations! It can be a very rewarding adventure to upgrade your space, increasing the enjoyment of the home while also upping the property’s value. For Michigan residents, the Shelby Design Center is here to help with quality flooring, lighting, and window treatments to ensure that our customers absolutely love the results. We’re proud to be your go-to flooring store in Shelby! Our 20,000 square-foot lighting and flooring showroom is here to provide our customers with the most expansive and unique inventory possible, comprised of our Lighting One© and Carpet One Floor & Home© cooperatives to ensure you find exactly what you need. Today, we’ll discuss a few of the benefits and drawbacks of laminate flooring to assist you in deciding which flooring material to utilize. When you’re ready, be sure to stop by our store or contact our experts for help! Versatile. Laminate is adaptable enough to be used on a variety of subflooring and in different environments without any major concern. If you are planning on installing your new floor over materials such as oscillated strand board, wood, concrete, or existing laminate, this material is ideal over hardwood flooring. Visually Appealing. Unlike laminate flooring of the past, today’s products are now more aesthetically pleasing than ever. Homeowners who want the look of engineered wood flooring are often surprised by just how great laminate can look in their homes. You can purchase laminate in a wide range of styles and material recreations. Consumers who want even more authenticity from their flooring can invest in options that include the texture to match the appearance of your tile and hardwood. Durable. People often assume that laminate flooring is not sturdy enough for long-term enjoyment; there has to be a downside, after all. Laminate is built tough and resists damage such as sun fading, stains, dings from dropped items, and scratches. While this flooring material isn’t perfect, it does have the damage resistance required by most homes across the country. Easy to Install. Newer laminate flooring options now have the ability to snap together, making life much easier for everyone installing it. Each plank will click together, forming a strong bond without the time costs. Your laminate is also considered a floating floor, meaning that it is not secured to the subfloor. Without the need for gluing, stapling, or nailing planks down, installers can expect to cruise through the process. We’re confident that you’ll be satisfied by the ease of installation compared to other material types. Affordable. One of the biggest benefits that has made laminate a popular choice amongst flooring materials is its price tag. 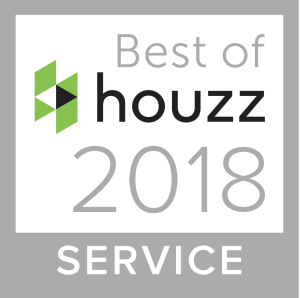 This product typically runs at about half of the cost of hardwood flooring, saving customers a considerable amount of money, especially with larger renovation projects. 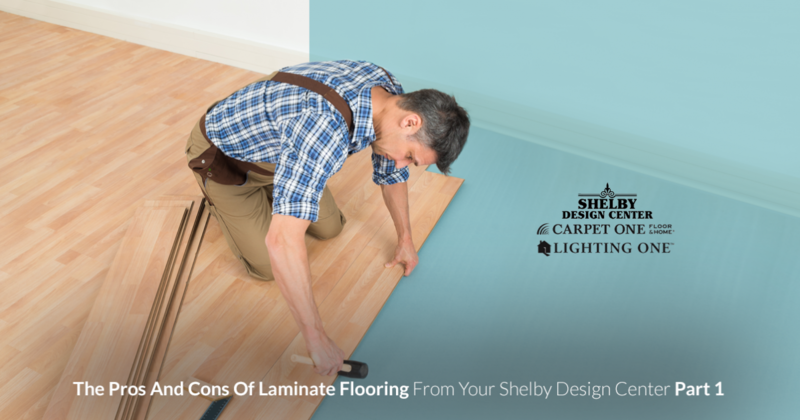 Those that pay for professionals to install their laminate will benefit from the easy installation, where experts are even faster, saving you time and labor costs. When all is added up, it should be easy to see why laminate flooring has made such an impact in the home improvement market over the years. While this material provides a plethora of positives, it is not perfect. Next time, we’ll continue this topic by looking into the drawbacks and risks associated with laminate compared to other material choices. If you are in need of a flooring store in Shelby, you’ve come to the right place! The Shelby Design Center is proud to run a quality flooring showroom for Michigan customers, providing 20,000 square feet of special order products to perfectly match your home’s unique style. For more than 20 years, our flooring and lighting store has worked hard to provide the best services with affordable prices. Contact us today with questions or stop by our showroom to begin your project!